Last week, the CDN had the privilege of being represented by Drs. Regan Foust and Jacquelyn McCroskey at the Price Social Innovation Summit: Pathways to Opportunity. The conference was built around the premise that the zip code in which one grows up should not be a primary determinant of life outcomes. The Price Center held the conference to explore new approaches to increasing opportunity for low-income residents through education, policies to support strong and stable families, and access to jobs for justice-involved individuals. Jacquelyn and Regan were joined by panelists Linda Aragon, Director of the Los Angeles County Department of Public Health’s Division of Maternal, Child, Adolescent Health; Armando Jimenez, Director of Measurement, Learning, & Evaluation for First 5 LA; and Carrie Miller, Assistant Executive Director of the Office of Child Protection. The panel discussed how data partnerships are working to strengthen families. Carrie focused on LA County’s recent plan — Paving the Road to Safety for Our Children: A Prevention Plan for Los Angeles County — that engages the community in prevention efforts to strengthen families and reduce the need for intervention from child protective services. Linda detailed the work the County Department of Public Health has done to expand home visiting programs and Jacquelyn described the efforts the Policy Roundtable for Child Care and Development has done to expand access to ECE. Regan presented the California Strong Start Index, a new tool developed by the CDN and the First 5 Association to help communities more efficiently and equitably allocate resources. 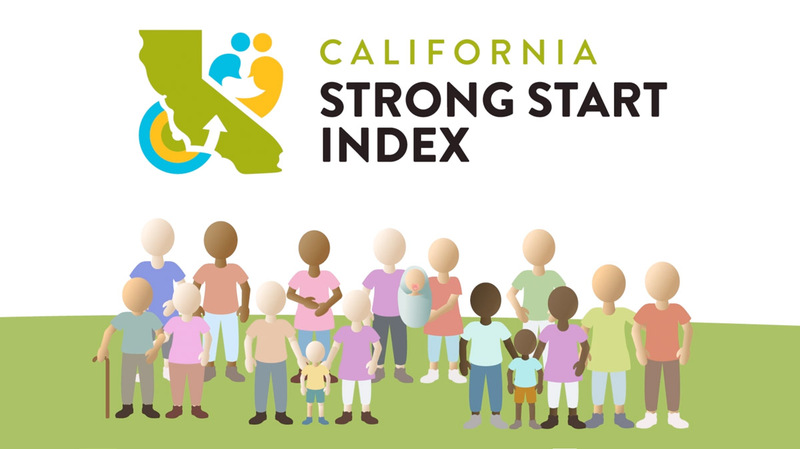 By organizing information available on the birth record, the California Strong Start Index summarizes the conditions into which children are born in California. Mapping that information facilitates the identification of communities where additional services and supports could promote equity. The Index also has potential to better steward pubic funds and standardize community needs assessments. The CDN was grateful for the opportunity to share how we are using data to strengthen families and to learn from our colleagues as they pursue to same goal. Please refer to this Policy Brief for more information. 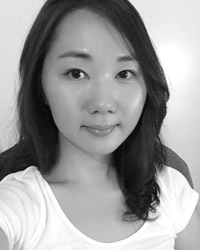 CDN Doctoral Student, Eunhye Ahn, has been accepted as a fellow for the Data Science for Social Good Summer Fellowship at Imperial College London, in collaboration with University of Chicago. Selected from among 750 applicants, Eunhye’s acceptance underlines the great promise she has shown to use data science to make a social impact in the world throughout her career. We wish her all the best on her learning adventure, and are excited for her to leverage her knowledge and experience here at the CDN, and beyond. The CDN has three new publications on mothers in foster care and their children-all published this month! The first, Pregnant and Parenting Youth in Care and Their Children: A Literature Review published in the Child and Adolescent Social Work Journal, examined pregnant and parenting mothers in foster care and their children by identifying and summarizing all relevant studies published between 2011 and 2017. Combined, these studies demonstrate the need for tailored pregnancy prevention services, supports for parents, and future research that focuses on identifying strategies to improve two-generation outcomes. The second study was a linked, quantitative analysis that identified children born to mothers in foster care and documented CPS involvement among their children for the first 3 years of life. The study, An Examination Of Child Protective Service Involvement Among Children Born To Mothers In Foster Care published in Child Abuse and Neglect, found that about half of children born to mothers in care were reported for alleged maltreatment by age 3, but that proportion has declined over time (i.e., from 63% of children born to mothers in foster care in 2009, to 46% in 2012). Variation in risk of report also emerged when dyads were grouped using a Latent Class Analysis (LCA). The data identified a number of risk factors available in the mother’s CPS and the child’s birth records that are known at the time of the child’s birth; these factors could be used to develop programs that better fit the needs of mothers in care, assess the effectiveness of these programs, and replicate policies that are improving outcomes for mothers and children. The third study, A Content Analysis of Case Records: Two-Generations Of Child Protective Services Involvement, was the first to leveraged unstructured, case narrative fields in CPS records to enhance knowledge about children born to mothers in care. A content analysis was conducted to assess reasons described for CPS involvement among children who were born to mothers who were in foster care on or after the estimated date of conception and reported to CPS during the first 3 years of life. Thirteen mother-child dyads from each of the three distinct classes identified in study 2 were selected for a detailed examination of mother and child case records (N=39). Study findings illustrate the importance of linking parents to services that meet their unique needs and those of their children. 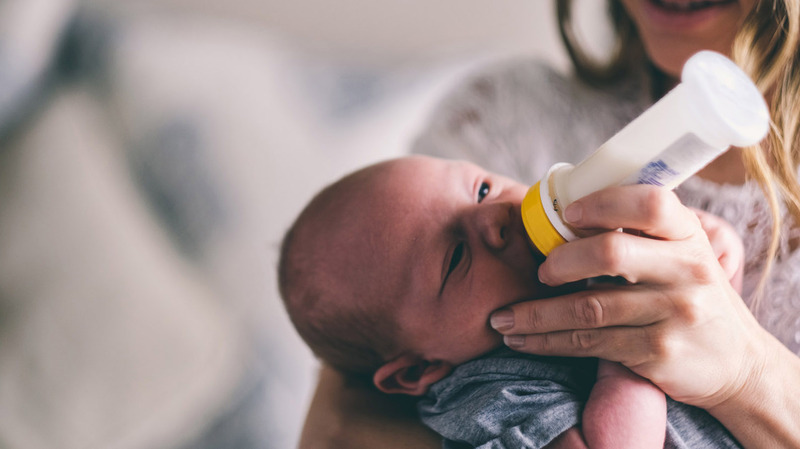 These three studies add depth to the understanding of factors associated with the maltreatment of children born to mothers in foster care and demonstrate the importance of two-generation strategies. For links to the papers and more information, please visit our project page: Child Protective Services (CPS) Involvement among Children of Mothers in Foster Care. Do Good With Data: We’re Hiring! Written on December 17, 2018 . Do you love tasks related to data management? Statistical analyses? Leveraging those skills to inform programs and policies for young children and their families? Then we welcome you to apply to be our new full-time Research Programmer/Database Analyst. We are looking for someone who can assume responsibility for a range of tasks related to data management and statistical analyses. Work closely with our database analyst, senior statistician, IT staff, public agency partners, doctoral students, and PhD-level researchers to manage administrative records and conduct applied analyses. 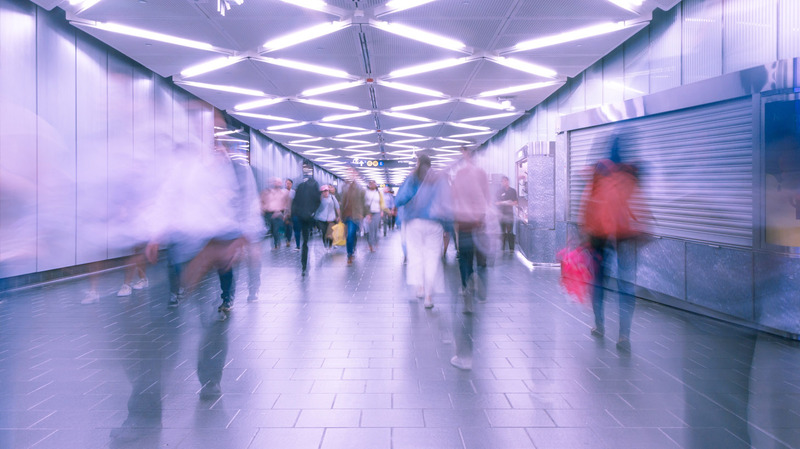 Support the development of the CDN’s linked administrative database by assuming responsibility for SQL tasks, including the preparation of raw data extracts received from agency partners for record linkage (e.g., coding, cleaning, standardizing). 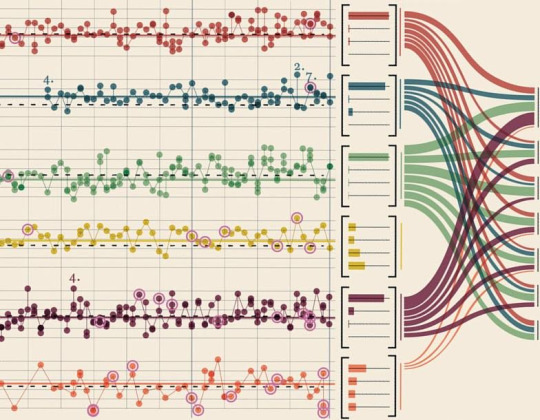 Support the preparation of analytic files for researchers at the CDN, including harmonizing variables across years, developing coding protocols for derived fields, supporting meta-data documentation, and running descriptive statistics and multivariable models. Contribute to the development of data and research products (e.g., metadata, technical reports, empirical papers). Master’s degree in biostatistics, computer science, or related field. Advanced skills in programming and experience in database management. Sufficiently detailed understanding of statistical software (Stata/SAS/R) to effectively collaborate with the CDN research team. Candidates should enjoy working both independently and collaboratively in an academic environment, possess excellent organizational skills and the ability to balance multiple tasks, and have an interest in applied and policy-focused research. 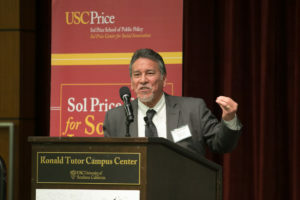 On August 6, 2018, public and private sector leaders, funders and researchers met at the University of Southern California to hear findings from recent research on patterns of referral, investigation, and involvement with child protective services (CPS) and discuss their implications for the child welfare system in Los Angeles County. 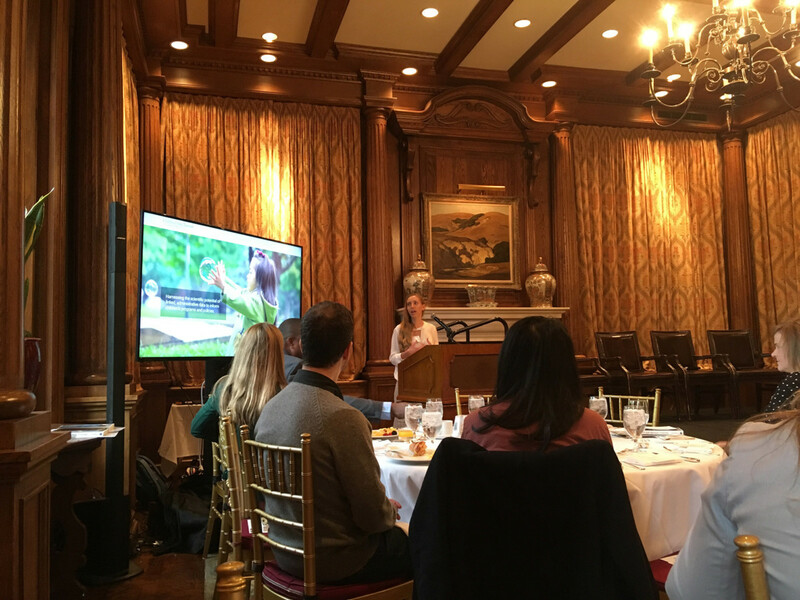 The meeting was convened by the Children’s Data Network at the Suzanne Dworak-Peck School of Social Work, sponsored by the Ralph M. Parsons Foundation with support from First 5 LA, the Conrad N. Hilton Foundation, and the Heising-Simons Foundation. Chris Wildeman, Professor and Director of the Bronfenbrenner Center for Translational Research at Cornell University, presented findings based on analysis of data from two national child welfare data systems (i.e., the Adoption and Foster Care Analysis and Reporting System (AFCARS) and the National Data Archive on Child Abuse and Neglect (NCANDS)) indicating that 37% of American children will be investigated by CPS for alleged maltreatment at some point during childhood. 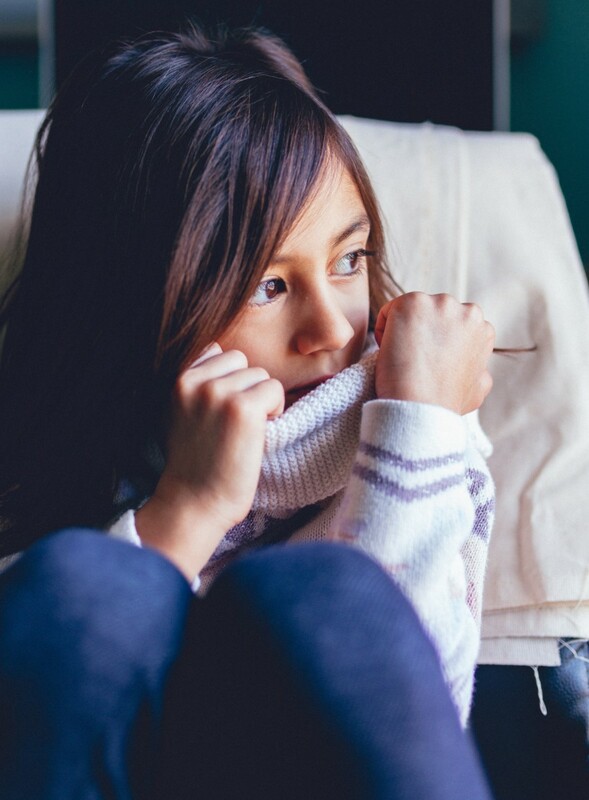 This cumulative risk of CPS contact is particularly startling because the child welfare system is often thought of as being a relatively small system concerned only with children at high risk for abuse or neglect. Indeed, point-in-time data showing how many children are involved with the CPS system during a particular month or year generally include a small percentage of the population. Dr. Wildeman’s research suggests that while contact appears to be relatively rare at any moment in time, CPS contact at every level – including referrals, investigation, case openings, foster care, and termination of parental rights – is not rare at all when considered from the perspective of children and families over the course of childhood. His research also indicates substantial inequality in the cumulative rates of child welfare system contact. Specifically, his findings indicate that about 50% of African-American children will experience a CPS investigation and roughly 20% will be substantiated as victims. 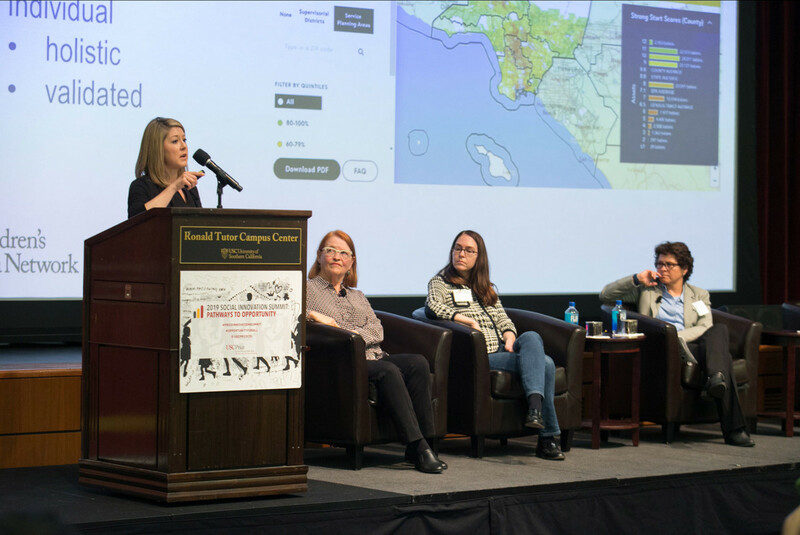 Emily Putnam-Hornstein, Associate Professor at USC and Director of the Children’s Data Network, presented similar findings based on analysis of California birth and CPS records. The cumulative rate of CPS involvement for children born in LA County was somewhat lower than the national estimate, but (conservatively) more than 1 in 4 (27.8%) children were reported to CPS for alleged abuse or neglect before they turned 18. The highest rates of referral were for African-American (45.0%) and Hispanic (29.6%) children, followed by White (21.0%) and Asian (13.7%) children. Of these, about 1 in 10 referrals were substantiated (9.5%), with similar disparities observed in terms of race/ethnicity. A distinguished panel of respondents opened discussion after the research presentations, including: Bobby Cagle, Director of the Department of Children and Family Services (DCFS); Judge Michael Nash, Director of the Office of Child Protection (OCP); Fesia Davenport, Assistant Chief Executive Officer; and Armando Jimenez, First 5 LA’s Director of Measurement, Learning and Evaluation. All of the panelists expressed concern about the underlying findings from the studies including the cumulative risk of system involvement for all children and the disproportionate involvement of African-American children. They also noted that preventing child maltreatment is a shared responsibility, with no one agency or department able to do the job alone. Mr. Cagle noted a 25% increase in calls to the Child Protection Hotline in 2016-17 compared with the previous year. He described the DCFS leadership team’s commitment to working with multiple partners around prevention and early intervention. Some of the programs that are already underway include: a joint project with law enforcement and school districts to create CARES, a non-emergency call in number for reports on non-emergency matters; new approaches to working with the Department of Mental Health to better serve families involved with both departments; and the Community Prevention Linkages program where families reported to the Child Protection Hotline may be assessed for support and service needs and referred to community-based Prevention and Aftercare networks after it has been determined that there is no need for an in-person Emergency Response investigation. Judge Nash pointed to the importance of having more meaningful and systematic ways to assess risk in order to decrease demands on the system, and noted that we also need to develop more effective ways to deal with racial and ethnic disproportionality. He also described progress that the OCP and its partners are making in implementing the major prevention strategies described in their June 2017 report, Paving the road to safety for our children: A prevention plan for Los Angeles County. Ms. Davenport highlighted the importance of coordinating care across county departments and with community partners, including the need for better ways to share information across departments and organizations. She invited the audience to consider out-of-the-box ideas about prevention. For example, what role could the Department of Public Social Services play? How might DPSS staff go beyond determining eligibility to guiding and helping families to find other kinds of resources and support in their communities? How could other departments be more effective partners in prevention? She asserted that we need to move beyond pilot programs and demonstration projects and begin building more effective prevention strategies into the “DNA” of county departments if we want to see better outcomes for children, families, and communities. Mr. Jimenez suggested that we need partnerships in order to come up with innovative ideas and solutions, not just to help implement new programs after solutions have already been determined. New partners can bring new ways of thinking about complicated problems including how we better define risk in different contexts and how we translate “trauma-informed care” into practice. We also need to better understand how some families find ways to thrive in spite of their challenges, and the kinds of community and family support that build resilience. In relation to that and other questions, it is especially important to engage families in coming up with ideas and solutions that would work for them and their communities. How do we more effectively address the high volume of referrals? Can we intervene in a non-punitive prevention-oriented way, creating a non-CPS track where family needs are addressed without requiring intervention from the CPS system? We need to be aware of the fear generated by attention from the CPS system. Are there other approaches that would allow families to seek help without fear of punishment? We need to re-think traditional ways of responding to family problems from the perspective of family strengthening and prevention. 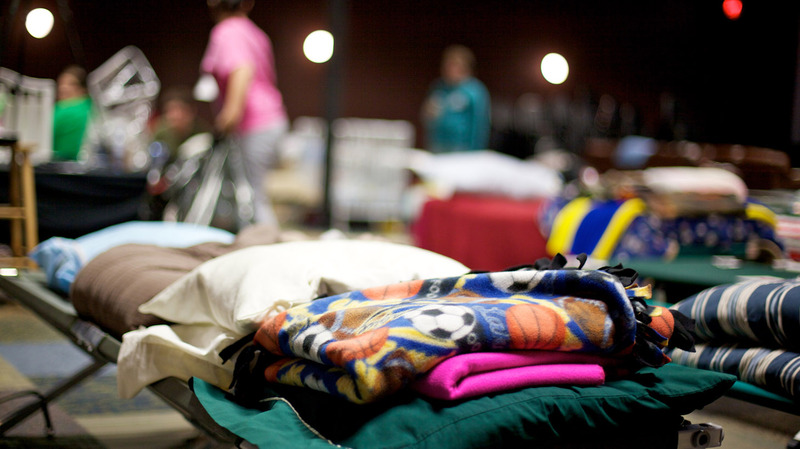 For example, counseling does not get families out of poverty. It isn’t a surprise that our current system is giving us what we are getting. CPS is a limited response, not a true reflection of the full array of services families need in order to thrive. We need to think differently about how systems can work more effectively together. How do we break away from what we’ve always done so we can start doing things that are more effective? It is vital to engage with communities, but engagement cannot be a solution by itself. How do we invest in communities in ways that develop real solutions? We need to focus on strengths, building up and trying to replicate the factors correlated with community strengths. And we need to engage communities in honest discussions about what works. Obviously we need to respond to the ethnic/racial disparity and disproportionality reflected in these data. A lot can be attributed to economic factors, which are important, but not everything. Taken together, the research and discussion underscored the continued importance of Los Angeles County’s efforts to coordinate services so that families are supported and children protected, and an urgent need to address the disproportionate representation of children and families of color in our child welfare system. The Office of Child Protection has made a good start, with the help of DCFS, other departments and a number of community partners, but more help is needed to build supports and resources for families in communities throughout the county.